From I-74/Brookville exit US 52 to lt. SR 46 to rt. on Barber Rd. to property on lt. Sign on! Rolling Hills, Woods, Scenery, History! 50 acres located on the Whitewater River!lg. equipped eat-in kitchen, dining room w/ hwfls., wb insert in living room, family room, 1st fl. br, 4 lg. 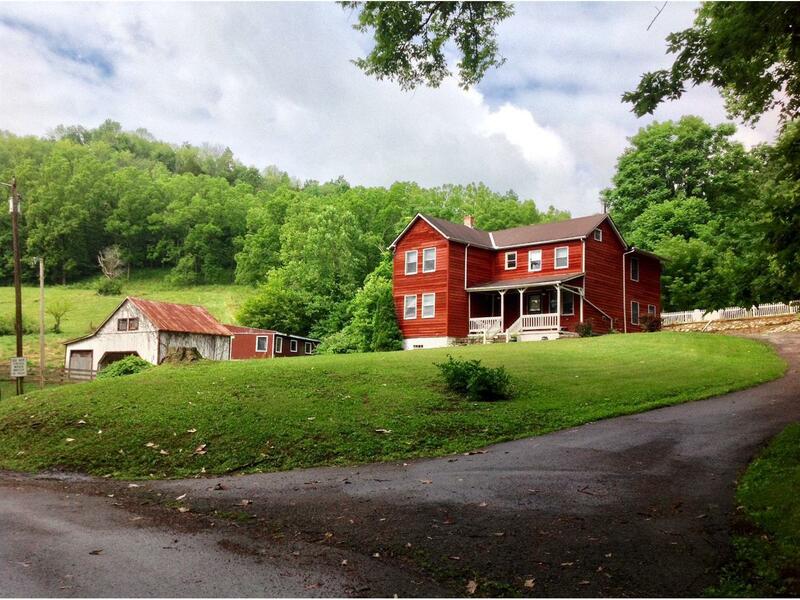 brs upstairs, whole home back-up generator, several out-buildings, fenced in pasture, lots of woods, scenic valley views,hunting cabin, home needs TLC.